Aiming to be an agent for the sale of video ads on the Internet, Google is testing a service that pairs advertisers with website publishers, according to The Wall Street Journal. Google’s widely anticipated move comes amid activity by several smaller companies, including Brightroll Inc. and Adap.tv Inc., to establish real-time-bidding marketplaces for video ads and generate revenue from each transaction. The online giant is creating the video marketplace within its DoubleClick Ad Exchange, which resembles current exchanges used to sell display ads. These exchanges let companies bid to place ads across various websites in real time, or exactly when a user has clicked on a particular Web page. While numerous ads are still purchased ahead of time through negotiations between websites and advertisers, these real-time exchanges enable publishers to avoid the problem of unsold space, especially for less-valuable areas of their sites. eMarketer reports that online video advertising, which includes commercials before a video is played as well as text ads on the video while it is playing, reached about $1.5 billion in the U.S. in 2010. This year, video ad spending in the U.S. is projected to be nearly $2 billion, while the overall U.S. display-advertising market will be $10 billion. Industry experts say that Google’s YouTube and online video site, Hulu LLC, are among the leaders in terms generating revenue from video ads in the U.S. The only thing limiting the growth of the online video-ad market is that there aren’t enough high-quality online videos to fulfill the demands of advertisers. 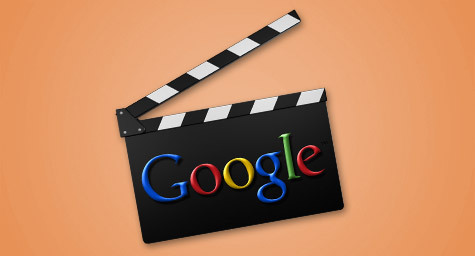 Media executives are enthusiastic about trying the new Google video-ad marketplace. The company has very strong relationships with publishers which already helps them generate billions of dollars in revenue through the sale of display ads. This new brokering venture looks promising for Google as it aims to assert its enormous power in the video-ad marketplace.